I had the opportunity to catch up with three of the biggest names in Robotics and Automation. All three specialize in specific areas and brought a ton of good info to the conversation. 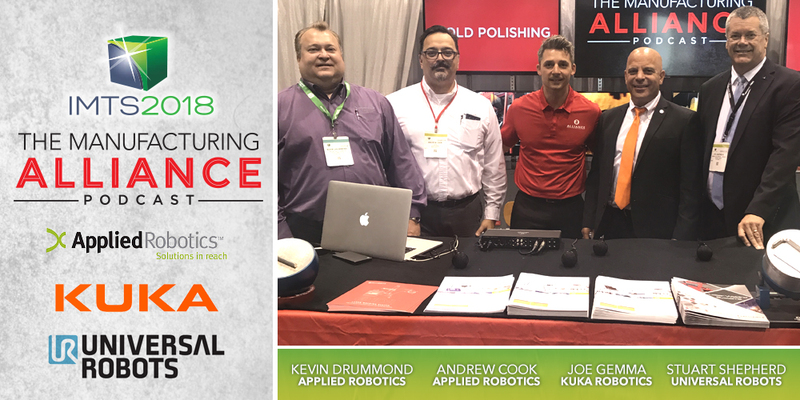 Joe Gemma; CEO of Kuka Robotics Americas, Stuart Shepherd; Sales Manager of Americas for Universal Robots, Kevin Drummond; Director of Sales and Marketing Applied Robotics, and Andrew Cook; Product Manager for Applied Robotics.